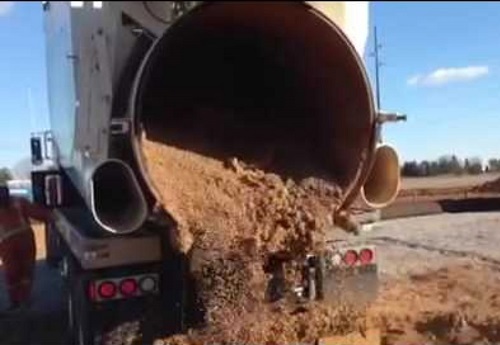 Hydrovac waste management out of control? NDP – We need answers! As I was scrolling through Facebook, I came across Dwayne Hills’ post about dumping hydrovac waste in Alberta. I know this is creating a bigger problem throughout North America and think Dwayne has summed it up with his comments below. Hydrovac Nation will always support its members by getting this information out and letting people in the hydrovac industry voice their opinions and get heard! Thank you, Dwayne for letting us share this to help get your opinion out to the public. I think you all might find this very interesting! The provincial majority NDP government with their strong ethical social license has used that social license and its love of environment to launch new disposal rules that will contaminate 100’s of 1,000’s of metric tonnes of clean water and soil over the next year! The NDP have forced all water and soil from the use of hydrovac trucks in the province to be taken to disposal. Now, some of you might be at a disadvantage to understand this, but hydrovac trucks are used across the province for many purposes. In many cases they are used to locate underground electrical or gas line, simply a safe means to dig a hole without damage to wires or pipe. These trucks are used widely around the urban areas and up until recently after they have done their job they dump the soil on some pre-discussed location and leave the job. Not any more! It is the wisdom of the NDP that province wide all hydrovac soil and water must now go to disposal! Is this a big deal? I was at our disposal site in Taber last week when a hydrovac truck had made the 2 hour drive from Waterton Park with 1 M³ or 1,000 kg of water and dirt. The soil and water was clean, but once it’s dumped at a disposal facility it’s completely contaminated and now must be treated as such. The people of the Cardston Municipal district or, in this case, Waterton Park will be responsible to pay for the hydrovac work, the drive time to and from disposal and the treatment of the soil and water that is now contaminated. Not only are you going to see a future increase in the amount of contaminated soil and water, but the costs of this to the taxpayer! On any give day there might be 10 or more hydrovac’s contracted by the City of Calgary for one purpose or another. To take their contents to disposal could quite possibly contaminate 10 truck loads/day of perfectly clean soil and water! They use drinking water through a pressure wand to dig and the hole might be in your front yard! Added to the environmental disaster is the need for 10 trucks/day to make the 2 hr drive to the nearest disposal site in Brooks AB, 4 hrs driving time at some $200.00/hr all the taxpayers responsibility plus the future treatment of the contamination. But it is not just Calgary! This is province wide, so it is 100’s of trucks, 100’s of truckloads and 1,000’s of liters of diesel. By the way, these huge trucks get around 5.5 miles/gallon. That is a lot of extra diesel fuel being used and all legislated by this enviro-friendly government! Ok, now if that isn’t bad enough here is the worst part – when it comes to the treatment of solids at a disposal site the costs can be over $100.00/tonne and the kicker is that in a couple short months Tervita bought Newalta giving them a virtual monopoly in the disposal industry. The next obvious question is with respect to the relationship between this corporate management and the NDP government – did Tervita play a role in a new NDP policy that they are currently making millions of dollars from?